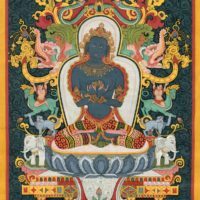 Vajravarahi- ‘the diamond female yogi’. She is the supreme deity of the Tantric pantheon. 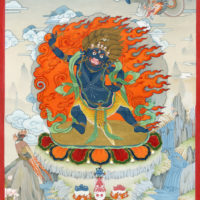 Vajravarahi is the highest female incarnation in Tibet. 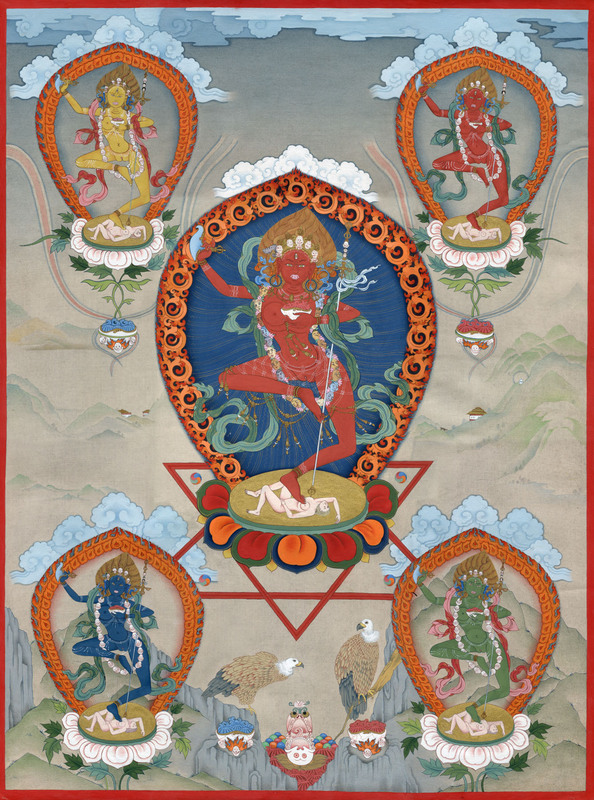 She is another form of powerful female Buddha Vajrayogini. 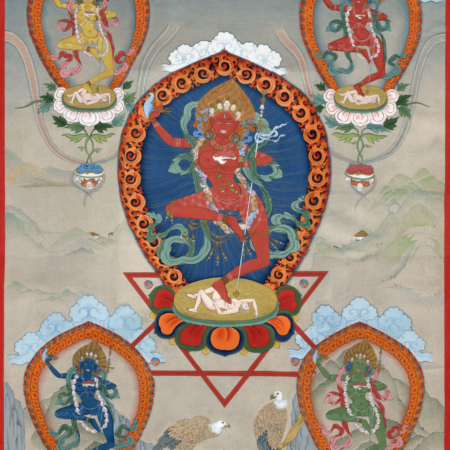 Vajravarahi is the root of all emanations of dakinis. She is a dakini of high status, considered to be a Female Buddha, embodying the union of bliss and emptiness. This form of Vajravarahi is one of the special practices of Kagyu Tradition and arises from Chakrasamvara cycle of tantras belonging to the Wisdom (mother) class of Anuttarayoga Tantra. * All of Flera’s fine art prints print on Canson Infinity Rag, a 100% archival fine art cotton watercolor paper.